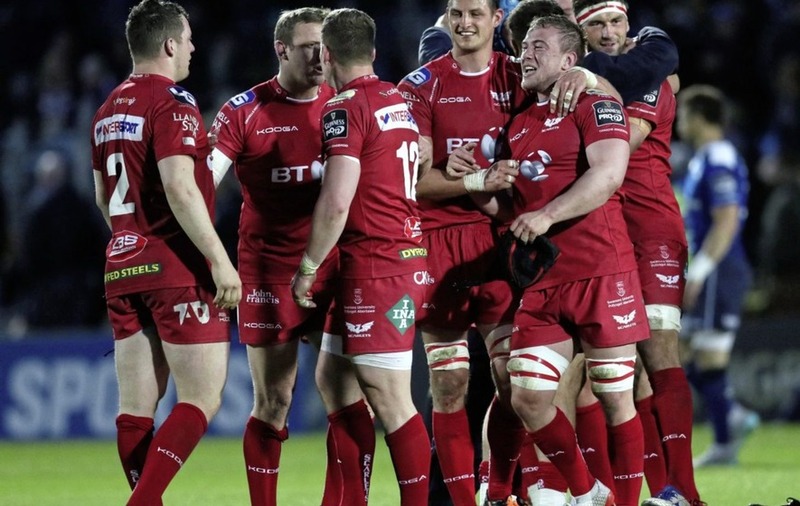 SCARLETS reached their first ever Guinness PRO12 final after defeating much-fancied Leinster 27-15 at the RDS despite having Steff Evans sent off before half-time. Fully deserving of their first win at the Dublin venue in 10 years, Wayne Pivac's outfit have set up the prospect of an all-Welsh final at the Aviva Stadium next weekend, with the Ospreys visiting table-toppers Munster in Saturday's second semi-final. In-form winger Evans scored the first of Scarlets' three first-half tries as they swept into a 21-10 lead at the break. Aaron Shingler and Gareth Davies also touched down with Garry Ringrose grabbing Leinster's seven-pointer. Ringrose was then involved in the 37th incident which saw Evans dismissed, referee Marius Mitrea red carding the Scarlets back after consulting with TMO Alan Falzone following a tip tackle that saw Ringrose land on his head. Error-strewn Leinster crept closer thanks to Jack Conan's 63rd-minute try, but Scarlets, who were heroic in defence and often brilliant at the breakdown, prevailed thanks to two closing penalties from Liam Williams. Leinster captain Isa Nacewa had a try ruled out for a forward pass from Jonathan Sexton amid a dominant opening from the Irish province. However, it was Scarlets who nipped ahead in the ninth minute, Evans scampering over for his 12th try of the campaign after Adam Byrne's missed tackle had allowed Jonathan Davies to tee up a classy converted score. Ringrose was Leinster's bright spark, but four handling errors inside the first 14 minutes left the hosts frustrated. They got off the mark five minutes later, Nacewa's penalty punishing Lewis Rawlins for not releasing after the tackle. Evans' subsequent try-saving tackle on Luke McGrath, combined with Liam Williams' poaching skills, denied the hosts soon after, with McGrath suffering a game-ending injury in the process. Leinster's replacement scrum-half Jamison Gibson Park made an immediate impact, inspiring some excellent interplay off a lineout which ended with Conan putting Ringrose over for his 23rd-minute try. But Scarlets' attack oozed quality off limited ball, Gibson Park's partially-blocked kick providing the platform from which Shingler exploited a gap and linked with scrum-half Davies for a sucker-punch score. Leinster's defence lulled again on the half hour as brilliant hands from Scott Williams, man-of-the-match James Davies and Evans played in number nine Davies for a third converted effort – Rhys Patchell supplied the extras again. A couple of flash-points, including a scuffle involving half-backs Davies and Sexton, increased the decibel level, and Evans' lifting of Ringrose in the tackle left his side down to 14 men. 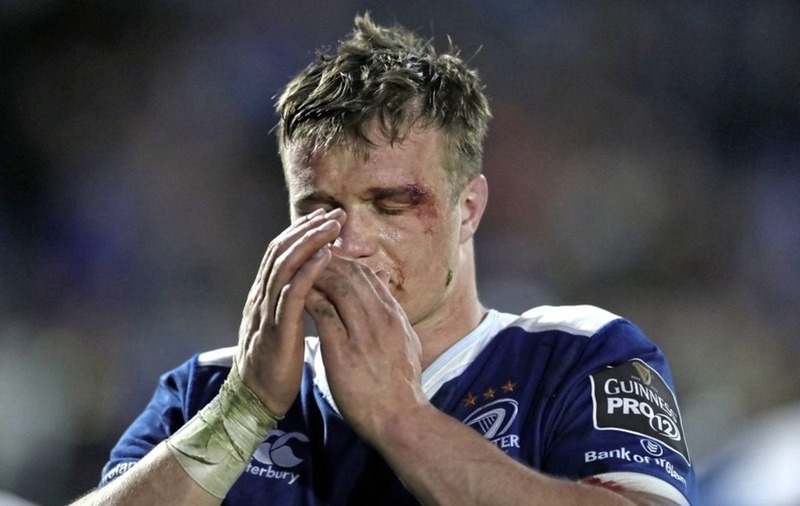 Individual mistakes prevented Leinster from exploiting their numerical advantage on the resumption, the visitors surviving the third quarter unscathed with James Davies, who covered on the wing, and former Leinster lock Tadhg Beirne both impressing. Ryan Elias' overthrown lineout saw Scarlets slip up as Conan managed to barge over from close range. Nacewa fluffed his lines, though, with a howler of a conversion, and it was Wales' first PRO12 finalists since 2012 who held their nerve. With Patchell replaced, winger Williams split the posts in the 70th and 80th minutes, punishing Cian Healy for a scrum offence and Ross Molony for a high tackle.